Does your partner inspire you to be an epic individual? If your partner does not inspire you to be an EPIC individual, then you shouldn’t be with that person. 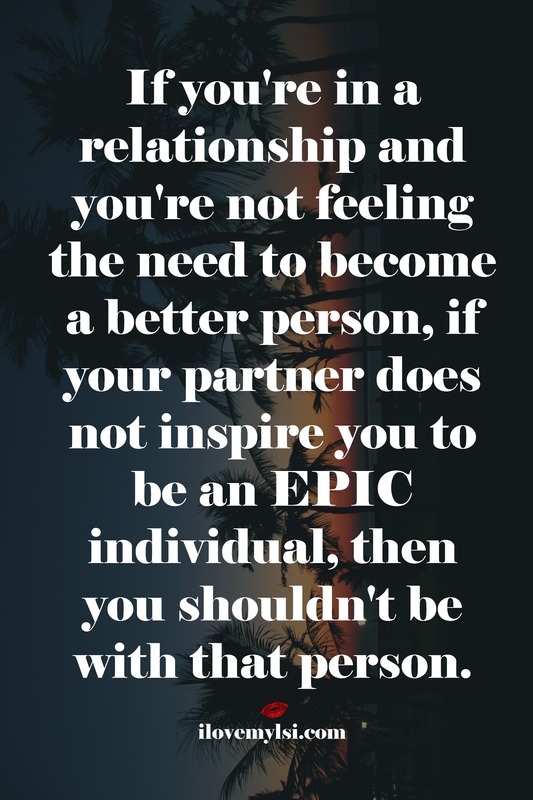 If you’re in a relationship and you’re not feeling the need to become a better person, if your partner does not inspire you to be an EPIC individual, then you shouldn’t be with that person. Do they add to the relationship?